Join the open, free online event in the Math Future series. 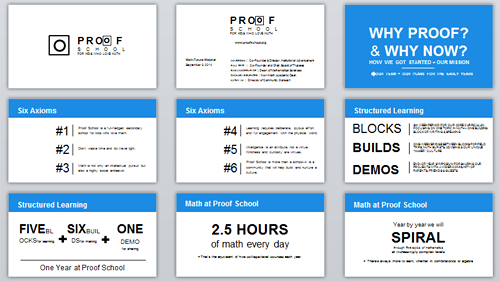 Meet the founders of Proof School, a radical education innovation for children who love math. Listen to a short presentation, chat with like-minded people in the audience, and ask presenters questions. You can pose questions and comments to the presenters before the event. To do so, scroll to the end of this description and click "Add comment." Proof School will offer an unrivaled education to young people who excel at and have a passion for mathematics while equipping them with knowledge, skills, and character for success in life. Some of the most prominent minds in high-level mathematics education in the country are behind Proof School: Richard Rusczyk (Founder, Art of Problem Solving, Inc.), Mira Bernstein (Executive Director, Canada/USA Math Camp), Ravi Vakil (Stanford University), Art Benjamin (Harvey Mudd College), Zuming Feng (USA IMO/Phillips Exeter Academy), and others. All are nationally recognized leaders with years of diverse experience inspiring math students at all levels. Proof School plans to open to students in September, 2015. It will be located in downtown San Francisco. As part of our outreach efforts, we are also developing a mathematics community hub--first online and then on campus--the Proof School Incubator - PSI Ψ. This initiative will allow us to build awareness, to synchronize Proof School with academic and student recruitment calendars, and eventually to hold events and programs open to the public. Sam Vandervelde is a tenured professor at St. Lawrence University. Sam’s mathematical interests encompass number theory, graph theory, combinatorics, and Euclidean geometry. While at St. Lawrence Sam wrote a textbook, Bridge to Higher Mathematics; he organized the Festival of Science, an annual college-wide event showcasing student research; and he received the Alder Award, the highest honor given for college math faculty in their first seven years of teaching. He has conducted numerous research projects with his college students and also runs a math club at the local middle school. Sam has participated in a number of math circles in the San Francisco Bay Area, forming and directing the Stanford Math Circle for two years. He has been involved with MathPath, a month-long residential summer program for middle schoolers, for eight years and is currently a member of their board. He authors and oversees all aspects of the Mandelbrot Competition, a national high school math contest. Zachary Sifuentes is an artist and writer who has over a decade of experience teaching writing and studio arts, more than half of which at Harvard and Stanford. His expertise is writing across the curriculum, acquired in part by two online resources, HarvardWrites and the Journal of the Harvard College Writing Program, that he developed and designed as a head preceptor and faculty associate at Harvard. 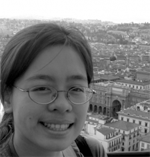 For the past several years, Kathy has been at MIT developing online education initiatives. Most recently, she spearheaded the development of the OCW Educator initiative, which focuses on enhancing the value of MIT OpenCourseWare (OCW) for educators. In this role, she developed novel ways of sharing extensive curricular materials, describing context, and capturing instructors’ insights for noteworthy MIT courses. Kathy has published papers in both mathematics and mathematics education, and she is currently completing her Ed.D. in mathematics education at Rutgers. Her dissertation focuses on the mathematical development of exceptionally accomplished American mathematics students. 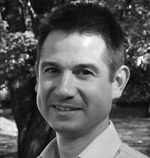 Ian Brown directs both the Bay Area Mathematical Olympiad (BAMO) and Marin Math Circle. To support the Marin Math Circle, he won a 2013-2014 Raytheon Math Hero grant recognizing excellence in math teaching and volunteering. 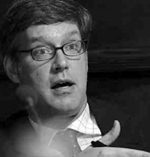 Before returning to the classroom, Ian worked for many years both in San Francisco and London as a financial markets writer, editor and business development executive. With USF’s Paul Zeitz, he created an invitational math circle for exceptionally talented and motivated math students, the precursor to Proof School. 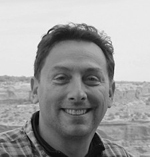 Paul Zeitz has devoted his career to mathematical outreach and education at all levels. He has helped train several US International Math Olympic teams and co-founded the Bay Area Mathematical Olympiad (BAMO) and San Francisco Math Circle. 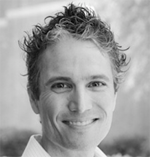 He is a frequent speaker at math circles for students and teachers around the country. He is the author of The Art and Craft of Problem Solving in 1999, and in 2009 The Teaching Company produced a 12-hour video course by the same name. Visit Team Proof School to read more about people involved in the project. 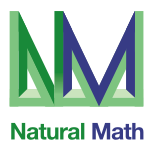 Math Future is an international network of people who care about mathematics education: researchers, developers, teachers, parents, and students. Since 2009, we have organized more than a hundred live online events with leaders of amazing projects.